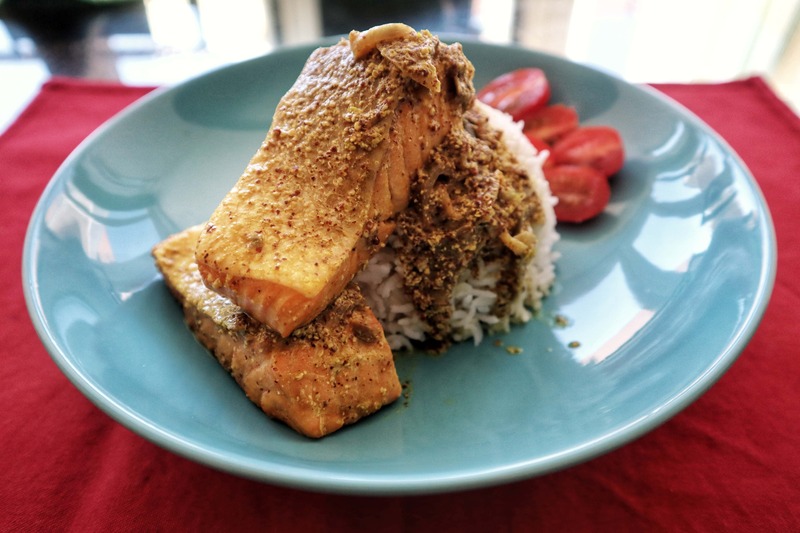 Continue reading "Shorshe Salmon / Salmon in Mustard Sauce"
I’ve even learned this mini meal from Maa to share with you. 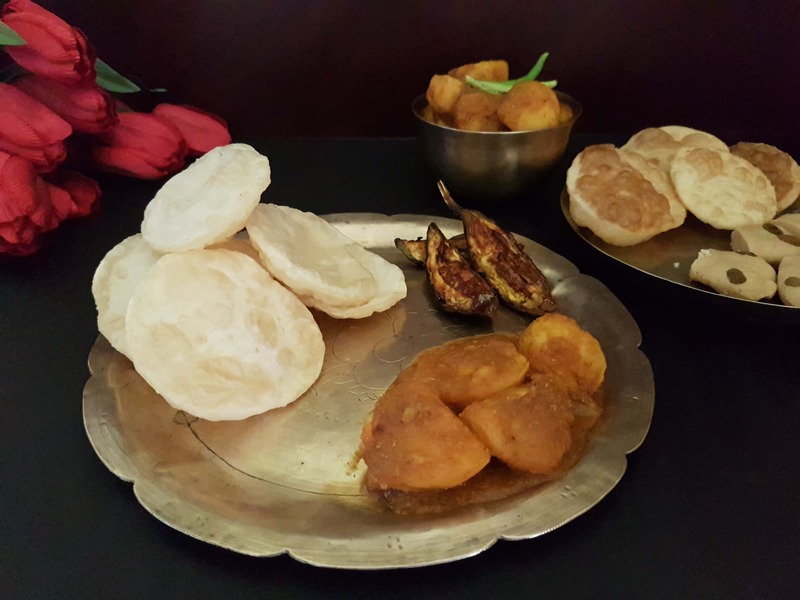 Cook your friends this amazing mini meal of Bengali dum aloo (Bengali potato curry) and begun bhaaja (fried aubergine/brinjal) to be served with luchi, roti or even rice. Easy to make, these are Bengali favourites and always a hit. Continue reading "Sweating over Dum Aloo & Begun Bhaaja (Bengali Potato Curry & Fried Brinjal)"
Minimal use of spice and hassle free cooking make this doi chicken or chicken in yogurt sauce a healthy, tasty and easy to make dish. Perfect for those learning to cook and those looking for a quick weeknight dinner. 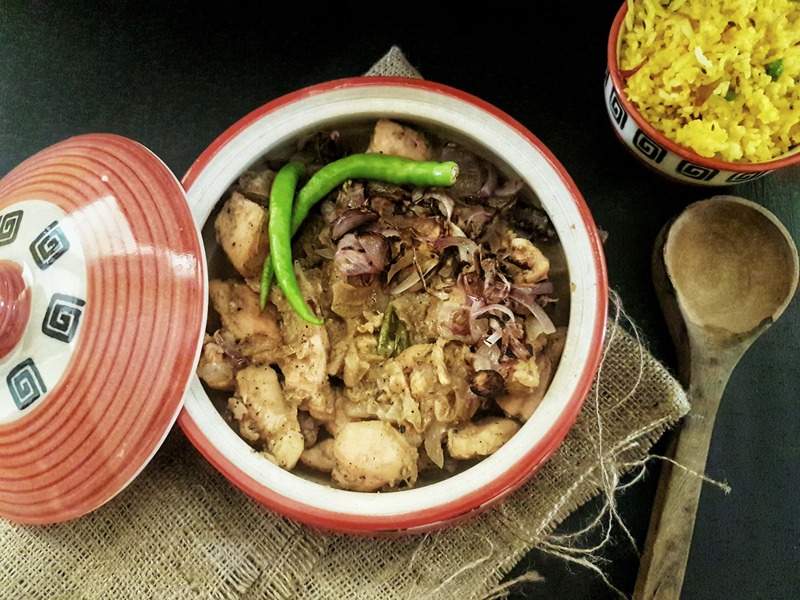 Continue reading "Bengali Doi Chicken / Chicken in Yogurt Sauce"